As you can see from the series image cover, The Realm of Dica Series is rich, complex and vast. The covers and artwork are all done by the author Clive S. Johnson. In fact, throughout the print books he has scattered beautiful pencil drawings of his own. Ever since I read and reviewed the first book in this series, Leiyatel’s Embrace, I’ve been wanting to ask Mr. Johnson some questions. So stick around because after my Of Weft and Weave review are some answers I think you’ll find fascinating. Clive S. Johnson’s second installment in the Dica series is a delight. It is more fast-paced than Leiyatel’s Embrace with many of the cast of characters of the first novel returning in an attempt to figure out what the heck is going on in their land and is there a way to fix it. Let me state right at the beginning that my heart goes out to Lord Nephril, the long-lived Master of Ceremonies to the many kings of Dica. The journey that takes him from his solitary existence atop the Graywyse Defence Wall to another world in The Lost Northern Way is almost as fascinating as the inner transformation that occurs to him in the process. The plot clothes itself in the attire of the expedition. Tolkien springs to mind, though Nephril is neither Bilbo Baggins nor Gandalf, even though I caught myself seeing shades of both from the corners of my eyes. Nonetheless, the adage “the joy is in the journey” certainly applies in this case, particularly with supporting characters with names such as Storbanther, King Namweed, Lady Lambsplitter, Dialwatcher, Breadgrinder, Lord Que’Devit, Steermaster Sconner . . . and the list goes on. In addition to Nephril and Pettar, I have a soft spot for Phaylan and Penolith and, as a wordsmith, appreciate how the soft sound of their names fit their characters. Some of the plot twists I saw coming, and others I did not, the balance of which made the reading experience even more enjoyable. Speaking of balance, I questioned in my review of Leiyatel’s Embrace how much the author intended the novel to be allegorical. After reading Of Weft and Weave I am further convinced of its allegorical nature given the themes of balance and imbalance, political corruption, death and rebirth, and its apparent nod to the industrial revolution. It was said of E.B. White that he couldn’t write a bad sentence. Mr. Johnson is one of the few writers I would also put in that category. His flair for detail and description is exemplary. “Like polished slate seen through muslin veils, faint glimpses of torpid sea floated in and out of sight as the swirling mist slowly billowed inshore,” and “He realised she smelt of rose petals and sandalwood, that her skin had a lustre all its own, and her voice a lulling depth that drew tingles to the spine” are but a couple examples (the spelling of realised and lustre being the Brit style, of course). If you enjoy literary fantasy—and Of Weft and Weave is fantasy, as the limb of Leiyatel would attest—this is the book and series for you. In fact, I purchased the paperback edition and was rewarded, as mentioned earlier, with Mr. Johnson’s fine sketches as well. Of Weft and Weave is a marvelously rich experience that I most highly recommend. “No, thank you for asking, Tim. Well, the title, Of Weft and Weave, has a number of facets, but in the case of Nephril, it refers to the alteration to his structure that was carried out in Leigarre Perfinn, as touched upon in Leiyatel’s Embrace, and from which he gained his immortality, some two thousand years earlier. This alteration gave him a kindred affinity with the preserving power known as Leiyatel, made him a part of her—I can say little more without giving too much away, I’m afraid—and hence why he experiences a “shaman’s death”, as you term it, when he travels beyond her embrace. The protection it has given him up until reaching the Gray Mountains is what was noted by Studman as his father’s reported comment. It may help if I quote from Leiyatel’s Embrace, where Storbanther tells Nephril, in chapter 40 : “You see, Nephril, your having weft and weave of Leiyatel, for your own protection, unbalances everything”. Clive, There’s an interesting exchange between Dialwatcher and Breadgrinder concerning imbalance. Since I refer to the theme of balance and imbalance in my review, would you elaborate on this? After all, Dialwatcher and Breadgrinder appear to live in a very ordered world, one that perhaps once reflected Dica itself? I wrote The Wastelanders out of my concern about the environment. Your work also speaks to me of environmental concerns. Please share why you initially wrote, and continue to write, the Dica series. Was there, or is there, anything in general that spurs you on? “You’re right to be concerned, as we all should be. But that’s not the nature of our species, nor of life in general—something I address in more detail in the later volumes. As an engineer and a scientist, I’ve known since the ‘70s what course we were set upon, but I also knew that it was something people didn’t want to hear. So it was frustration, really, more than anything, that kept me engrossed in searching out the story of Dica. What every reader says is that “It’s a vividly real place to them”, and that’s because it’s our own world seen through different and perhaps fresher eyes. On a purely selfish level, that the message hasn’t overpowered the story has given me so much creative satisfaction. In fact, many readers don’t even notice it, which is fine, because a book’s prime justification must be that it’s a damned good read—what all fiction should be. For those who do come away from it with an awareness of its underlying message, I reckon they do so more receptively, not having had it “pushed down their throat”. Readers often see things in a novel the writer may not have realized were in there, Clive. In other words, subconscious messages or themes make their way into a work. I wonder if my interpretation of the Dica series as being allegorical is intentional on your behalf. The reader is seeing a world in transition where the natural and mechanized are melding. What are your thoughts on Of Weft and Weave (and Leiyatel’s Embrace, for that matter) as allegory? Allow me to end this interview on a lighter note, my friend. You are that rare mix, the scientific-artist/artistic-scientist, which brings to mind writers such as Issac Asimov and Alan Lightman. For you, how does the scientist influence the artist? And if you produced a book cover that resembled the Beatles Sgt. Pepper’s album, who would I see in that montage? “Ha, thanks, and I suppose I am indeed an unfortunately rare specimen in our increasingly specialized world, which has largely lost the Renaissance Man. Leonardo Da Vinci must be spinning in his grave. I think it’s given me a thirst for knowledge and understanding irrespective of the perceived widely separated camps of artist and scientist. I’m just as fascinated by what a work of art tells me, or a beautiful or ugly view, as I am by a law of physics, and have never been able to see them as different. It’s meant that, for the Realm of Dica series, there’s no traditional fantasy genre magic involved, no wizards and warlocks; everything in the world of Dica is predicated on science—so there’s no convenient plot or narrative get-outs used. It’s all good old Newtonian mechanics with a fair bit of cutting edge quantum physics thrown in, and the whole tale follows a logical progression. But more importantly, as far as most readers will be concerned, I hope it’s vividly brought alive by my artistic vision, and my artist’s observations. The folk of Dica feel as real as you or me because they’re the product of a lifetime of distilled people watching. And for fiction, that’s what really makes the difference. Thank you for allowing us a glimpse into your creative process and creation of The Realm of Dica Series. I look forward to reading more. And now for all of you who would like to join me in this most intriguing series, here are Clive’s links. Clive’s website’s “Buy” page, which has all the outlet links. Thursday, January 7th was a special day for a good friend of mine. I met Lizabeth Scott on Twitter last year. I don’t remember the exact day, or even month, but I do remember that the day I befriended her we had a riotous conversation. I was impressed with her charm and intelligence, but especially her sharp wit. Since then we’ve started following each other on Facebook and although she writes in a very different genre than myself, her writing is crisp and intelligent. She joined in on our Holiday Story Hop and I truly enjoyed her story, Christmas Dreams. Who exactly is Lizabeth Scott? In her own words, Lizabeth is a voracious reader, full-time romance writer, wife, mother, and PA to two terrier terrors. Liz is the author of The Royal Vow and Hearts of Gold Series, and she’s a Carolina girl who loves sand between her toes as frequently as possible. She’s also known as GumShoeMom on the Geo Caching circuit. Today I’d like to help her celebrate the newest release, the fifth book in her Royal Vow Series, Sweet Temptations. Congratulations Liz! Today I’m doing something different, well…for me anyway. Instead of my usual blog entry, I am interviewing JMD Reid. I met James on Twitter last summer when I first ventured into the slippery world of social media. We’ve tagged each other in several blog hops, exchanged countless tweets, and he wrote an amazing review of my book. He has been supportive and encouraging for almost a year now and I wanted to get to know him better. Before we begin, I’d like to share a few things we have in common. Besides writing, his love of fantasy and my love of reading both began with The Hobbit. We both love listening to amazing music and find inspiration in the outdoors. 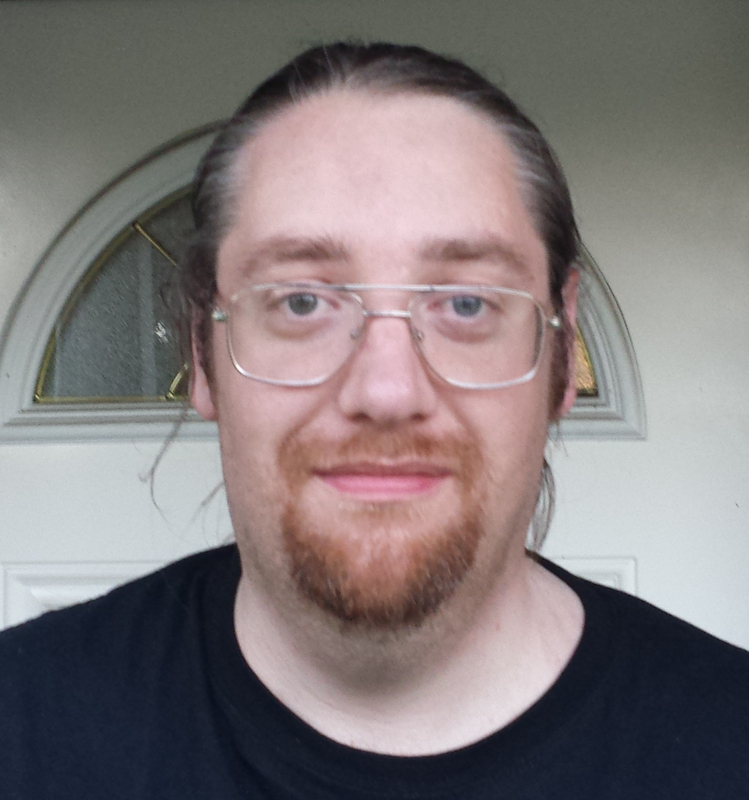 James says the rainy atmosphere and majestic beauty of Mount Rainier looming over the vast evergreen forests provides “the perfect climate to brew creative and exciting stories.” He plays video games, especially war games and D&D, and so do my wife and son! To break the ice James, I’ll ask a few questions. Answer in just a few words. …are a nitpicker. I’m very critical of entertainment. If I see flaws in story or plot, I’ll mention it. Annoys my roommate. YouTube. It’s my main form of entertainment. Bad drivers. After driving for a living most of my adult life, I really cannot stand people that don’t know how to drive. I don’t own any pets because I rent. If I could, I would love to have a black lab. One and only one, now—what is your favorite book? Babylon 5, I went with option three, the best SciFi space series out there. Those 5 seasons are a novel in TV form. Tell us a little more about you as a person. I’m kind of a boring person. I’m an introvert, so I like to stay home. Like I said, I play Warhammer 40k, a miniature war game, Dungeons and Dragons, and watch UTube. I was born overseas. Okinawa, Japan. My dad was in the air force and stationed there. My family moved back stateside when I was two. I have no memory of living there. I dropped out of community college because I found it boring. I was annoyed by my classmates not getting what the professor said the first time and they kept asking all the same stupid questions. It was like high school except my classmates were mostly in their forties and fifties so I had better expectations of them than teenagers. I like to learn, but what I want to learn not what I’m required to. There’s always tomorrow. It can’t get worse. Write your pain down. Write your pain down—I like that. I have stories inside me. I want to tell them to people, share the worlds that have been born inside me. I’ve always wanted to be a writer. Ever since I was in Junior High. I read these amazing, creative books and knew that was what I wanted to do. What interests you the most about the writing process, plot, character, world building, something else? World building is definitely why I write Fantasy. I just love building a world, its history, people, all the background pieces, and then start making connections between what I’ve prepared and what I’m writing. It’s a fascinating process. In Above the Storm, I named Chaylene after a character from her world’s mythology Chaylene the Shieldmaiden. It was in my notes. I had thought nothing of this detail other than it was a fun bit of dressing for the character until I realized what how perfectly it fit her character arc in the novel. I tend to do the same thing, James—only I begin with the characters and then let them show me the world. How do you approach a story? Organically. I do a rough outline, just putting down all the major plot points that I need to hit. With my Storm Below Series, I’m also thinking about the next novels and what I might need to seed earlier into the story. Then I just start writing and I see what happens. New ideas come to me. Particularly character interactions I like to not plot out and instead just throw them into conversations and see how they play off each other with a rough framework on how I want the scene to go. I really like that technique, so what do you find the hardest thing to write about? Blurbs. I wouldn’t say writing a novel is easy, and there are times where it can see slow, but having to condense your story into a few sentences that will hook a person and get them excited, knowing that this is your sales pitch, that everything is riding on these few sentences. I hate it. You’ve written some fascinating stories about time. Where do you get the ideas for these stories? I love time travel movies. 12 Monkeys, Groundhogs Day, Safety Not Guaranteed, Millennium, Terminator, Back to the Future. It’s fun type of story telling. You can play with rules, mix things about, have some twists. Tell us something about what made you want to start writing your novel, The Storm Below ~ AND ~ You’ve created a truly fascinating world in the skies above the storm…do, tell us more. I was working on a completely different fantasy series I call The Shattered Lands. I didn’t feel I had the skill to capture what I wanted to write, so I decided to try a less ambitious story. I have always liked the idea of flying ships. I decided to try writing a novel with those elements. I did some world building, drew a map, and my simple story grew complicated. I thought it was cool to put an ever churning Storm below my skylands and then I wondered what was beneath those clouds. Next thing I knew, I had a world history steered me from the more fun, adventure, swashbuckling story I intended into a more epic fantasy plot. That’s fascinating, James. I know you’re marketing this first novel as an epic fantasy series, but you also have two short stories and a novella published in kindle format. Tell us about them and why you decided to publish through Amazon? Those short stories had all been rejected by various Fantasy and Sci-Fi literary magazines. I was feeling discouraged. I wanted to put my work out there and have people actually read it. I posted a few stories, connected to my novel Above the Storm on my blog, and the standalone stories on Amazon. I had hoped the Kindle Unlimited program would make it more encouraging for people to read my short stories since they could borrow it for free if they were subscribers. You know, that’s why I put Black Silence out there on Amazon as well. Unless you are published by a big publisher, or have dozens of books out there, it’s very hard to break into the glossies. Okay, tell us what else you’ve been up to writing wise. Writing wise, I’m in the query process on my novel Above the Storm. I have a polished third draft that I’m rather proud of. While I’m querying literary agents, I’m working on the sequel to Above the Storm I am tentatively titling Reavers of the Tempest. Above the Storm is book one of a planned five book series. I also have entered my short story The Plight of the Arshion into a Fantasy Short competition. That’s great, James. And listen y’all, I’ve posted the link at the end of the interview. When we’re finished, click on the link at the end, read his story and vote on it. James, you deserve the recognition. By the way, I love the title Reavers of the Tempest for your sequel. I hear you recently spoke at an Author’s event. I was part of a panel of indie authors speaking on the publishing industry—how to go about getting traditionally published and self-publishing–and why we chose to self-publish. Mark Shaw, Renee Metland, and I went to the University of Puget Sound in Tacoma, WA. We spoke to a pair of writing classes and then to the school’s writer’s guild. The classes were fine. The first one was an intro to creative writing and there were a few students that weren’t engaged, but most were. The second was a more advanced class and they were a lot more engaged and interested in learning about what it takes to get published. I’ve done some speaking at conferences, James, and it’s not easy…but I love this next part, you make an excellent point. The real fun was the writers guild. There were only a few students, I think six, but they were all aspiring authors and eager to learn about the pitfalls and hurdles before them. Mark, Renee, and I all had a great time. But it was sad to learn that even in the advanced class or the writers guild that none of them had been taught what a query letter is let alone the publishing process. The teachers seemed focus on teaching the craft but without giving them the education on what to do once you’ve written it, how to go about getting published, etc. My experience as well ~ the writing process is always taught, but marketing is usually left out. Speaking of process—everyone has a writing process—is there something particular or different about yours you’d like to share? I tend to think about what I’m going to be writing next, working through a few ways a scene might go. Then I just sit down and type it out. It’s never quite as good as a imagined it. I like to write with my old laptop on my lap, sitting on a comfy chair, but I can write anywhere. I do like to have music playing. It acts almost as white noise, drowning out maybe what’s going on outside. Do you have any events or further appearances in the offing? I don’t have any appearances planned, but Mark, Renee, myself and a few other local authors that couldn’t make this appearance are on the look out to speak at more college and high school classes. Great idea. I’ll keep a look out online for you as well. It sounds like you have much to offer these new writers and some of us old ones. Finally, what tips on the writing life would you share only with a close friend (and everyone reading this blog)? You need to devote time to writing everyday. It really doesn’t matter what you write. Just sit down and write. Start with an hour a day. Get into the routine. Force yourself to do it. I had to. It took me a year and a half to get into the habit of writing regularly. Sitting around with a drink in your hand while telling your friends about the amazing, groundbreaking, world-changing masterpiece novel you have tumbling around inside your head is not the same thing as sitting down and writing that story. Love the quote! Thanks James, it’s been great talking to a kindred spirit. I wish you all the best in your literary endeavors. This is an epic fantasy set in a sweeping world that exists as islands and continents floating above an ever-swirling storm. For one thousand years the Dawn Empire has known peace. Despite access to the greatest apothecaries, age had finally fallen upon Xaiutwoa III, Empress of the Dawn, and she gasped for breath as she leaned against the hulking form of her bodyguard. Every bone in her body ached, and she was glad for the solidly built Tezl, who towered a rope-and-a-half above her, his crimson scales almost blending into the red sandstone walls of the Tower of Morning. “Thank you, Tezl,” Xaiutwoa murmured, looking up at the fierce form of her bodyguard for the last twenty or more years. He was a Gezitziz of the Ethinsk Tribe, and dwarfed even the tallest of the Luastria, and Xaiutwoa was hardly the tallest of her race. “It is my honor, Your Radiance.” His voice was a deep, dry hiss. Every few heartbeats, his pink tongue flicked out, smelling the air. She clucked her beak in amusement. “I’m hardly so radiant, anymore.” Her eyes glanced at the dull-brown plumage not covered by her robes, mottled with age. In her youth, her feathers had been brown and sleek, her scaled feet a fetching shade of purple-black, and her tail feathers had been straight and proud. Now brown discolored her feet and her tail plumage drooped. “The setting sun is just as beautiful as the rising,” Tezl answered. Her feathers ruffled in embarrassment. It was easy to think of the Gezitziz as unemotional with their dead, reptilian eyes. She let her distal feathers at the end of her wing stroke his strong forearm, then she made the last ascent alone. Letting Tezl assist her up the Tower had gone against tradition, and not even she could let him reach the top of the tower, no matter how much age had infirmed her. Not even the caretaker ever stood at the holy tower’s prominence. Xaiutwoa’s breath wheezed as she struggled up the stairs, leaning against the rose-red walls, blushing like the rising sun. Her yellow robes, made of the lightest silks, seemed to weigh her down like they were soaked with water, and the golden crown, the largest, single collection of metal in the entire Empire, pressed heavily upon her brow. She forced herself to keep climbing, ignoring her burdens. She wouldn’t have to bear them much longer. But would her daughter Niiwa have the strength to bear her burdens? Xaiutwoa remembered gentle Niiwa’s hard struggle to escape her shell at her hatching. And Yriitwao, her second daughter, had been so timid. When she had poked her head out of the shell, she seemed too frightened to escape. Both were so unlike her headstrong Opiixu, who seemed impatient to break free of his egg. Her heart fluttered at the pain of Opiixu’s memory. Her beautiful hatchling. He had been so sure he was ready to fly. Gathering her emotions, Xaiutwoa wiped a tear away with a distal feather, and steeled herself for the last set of stairs. She was glad for the cool air atop the tower, a gentle breeze blowing from the southeast. A school of silvery, red-banded minnows, sleeping in the protection of the towers crenelations, scattered into the sky at her appearance, their small tails swishing. The Tower’s parapet was empty, save for a single plinth on which rested a crystal case. Within lay a slender book bound in faded, red leather. On her coronation, the first time she had climbed the Tower of Morning, she had discovered the case. No one had told her of its existence. Curious, Xaiutwoa had opened the case. The words of Iiwroa’s book had shattered her soul with its weight. She feared that Niiwa, her gentle daughter, would be crushed beneath the book’s truth. Xaiutwoa walked to the edge of the tower, ignoring the book, and surveyed the sky. The Tower of Morning was built on a small skyland barely large enough to hold the Tower and the dock where her royal barge lay moored. Her functionaries and hangers-on crowded the base of the tower like a colorful flock of birds. She glanced to the west where the largest skyland in the Empire, Swuopii, hung above the Storm Below. The larger of the two moons, Twiuasra, was fast setting behind Swuopii, framing the skyland with its soft, blue face. If she had the sharp vision of her youth, Xaiutwoa could see her subjects crowding the eastern shore of Swuopii, awaiting the dawn of the summer solstice and for their Empress to sing the Rosy Prayer in thanks to Riasruo. More citizens were crowding boats hovering in the gulf between Jyou and Swuopii. She turned to the west where only the Storm Below lay, spread out below like a mottled white-and-gray blanked, curving off the horizon in a fuzzy haze. Beneath those churning, imperturbable clouds lay the mythical ground. A thousand years ago, so the Talesingers proclaimed, her ancestors had dwelt on the ground, along with the ape-like Humans, the lizard-like Gezitziz, and the mole-like Zalg. Peace had reigned until Kaltein and his Wrackthar Humans made a pact with Theisseg, the dark Goddess of Storms and bitter rival to her sister Riasruo, Goddess of the Sun. When the Storm had blotted out the sun forever, the Goddess had shown mercy on her children and lifted the skylands above it. The Storm was slowly turning lighter as the sun’s rise approached. Blushes of pink and red began to spread on the horizon while the stars above began to slowly fade. Xaiutwoa begin to breathe deeply, preparing herself to sing the Rosy Prayer—the most vital duty of the Dawn Empress, the book was quite clear on that—when she noticed a turbulence upon the Storm’s surface to the east. Instead of the usual boil of clouds in a random, chaotic pattern, they instead were rotating slowly about a dark spot. She squinted her eyes, hating that age made her see only as well as a Human. No, it’s not a spot but a small hole in the Storm. But there were no skyrifts off Jyuou, and none would be so small anyways. Xaiutwoa studied the Storm Below with nervous curiosity. In all her long years, she had never seen a pattern form in the chaotic Storm. The pattern rotated faster, streaks of black and gray stretching about the hole in the Storm, reminding her of water swirling down a drain. She was so distracted by the Storm’s odd behavior, she nearly missed beginning her song as Riasruo’s first, golden rays fell upon her. Xaiutwoa began the complex, wordless song of the Rosy Prayer, trying to pull her attention away from the strange pattern. Power hummed in the music, a lullaby to soothe Her pain. She continued to study the Storm as she sang, the song so rooted in her memory she did not need to concentrate on its complex harmony. The rotation was moving faster now, the clouds streaking as they swirled about the hole. Thunder rumbled from below and a low, roaring sound filled the air. Xaiutwoa wracked her memory, straining to remember her lessons as a hatchling. Has the Storm ever behaved so strangely? Unease settled in her gizzard as louder peals of thunder rumbled again. The Empress knew something was greatly wrong. Indecision filled her thoughts. Her gizzard warned her to assemble her scholars immediately to divine what strange madness swirled before them. But the Prayer was too important to stop—Iiwroa’s book was clear on that. What if this is just a rare behavior of the Storm? What if it is only some vagary of winds and currents, and I doom us all with my panic? She continued singing louder to drown out her unease. The cyclonic pattern begin to rise out of the Storm, bulging like a bubble rising from a dark pool of water. Xaiutwoa chirped in surprise, the Rosy Prayer faltering as the cyclone rose higher and higher. A wall of swirling grays and blacks thrusting up, obscuring the rising sun. Darkness fell as if the sun was setting. Horror churned in her gizzard, and she instinctively backed away as the last rays of sun flickered out behind the Cyclone. What is happening? I sang the Prayer every solstice. I followed the book! Chirps of terror echoed from below as her functionaries, barely audible over the ever growing howl, realized something unprecedented was occurring. Has She grown more powerful? Or more desperate? Xaiutwoa was rooted to the spot, too stunned to do more than watch as the cyclone rushed forward, winds howling with rage. The wall of clouds filled the horizon, and inside the raging winds, she could make out shapes. Dark blotches moving through the maelstrom, seemingly unaffected by the fierce winds. Figures. Lanii’s golden feathers! How have the Wrackthar survived a thousand years without the sun? It’s impossible. Tears ran from her eyes, matting the downy feathers of her cheeks. She turned to the west, towards her Empire. The roaring of the Cyclone pressed like weights on her ears, so loud it was hard to think. The boats in the bay were turning, flying back towards the shelter of Swuopii’s docks. A thousand years of peace, she realized. A thousand years of peace. We’ve forgotten how to fight. She turned to face the maelstrom, winds now ripping at her feathers, the wall of swirling clouds rushing towards her, a terrible blackness that would swallow her Empire. The riders in the storm had weapons raised, long and straight, and flashing deadly in the pulsing lightning. Niiwa, her daughter, beckoned from the stairwell as Tezl rushed past her, racing across the parapet towards Xaiutwoa. He was a red hulk, fighting the screaming winds to reach her. A single thought crystallized in the Empress’s mind: Niiwa will need the book. Xaiutwoa turned to the plinth and opened the crystal case, her distal feathers gently scooping up Iiwroa’s Book into her wings. Tezl towered over her, trying to shield her from the wind. “What?” Tezl asked as he grabbed the book. “The Truth!” she shouted. “Niiwa will need it! You need to protect her now! She is the Empire’s future!” Xaiutwoa caught her daughter’s green eyes, seeing love and fear reflect there. “I’ll protect you and the book,” Tezl’s said in his deep, rasping voice. His cold, scaled arm wrapped around her, and she leaned into his strong frame as he gently lifted her. She felt momentarily safe in his arms. Her loyal guard. He would protect Niiwa and the book. He was too loyal to fail. As Tezl turned, she saw the Cyclone was almost upon them. The riders had pale, Human faces, black hair streaming behind them. We have forgotten how to fight. The Cyclone crashed into the Tower. Here are the links and blurbs for JMD Reid’s books. Mokom and Alila are trapped in a prison of love and duty. Alila, the first female Knight Defendant in centuries, stands at a cliff, despair filling in her heart. She is haunted by the strain of battle and the guilt of letting Mokom die. Doomed to repeat her mistakes, Alila jumps to her death as she remembers her past and the young man that changed her life. How will Mokom and Alila escape the chains of Love and Duty? How will they break free of the prison of Time that traps them? Alila escape the chains of Love and Duty? How will they break free of the prison of Time that traps them? Now Rehman must find the courage to walk the same, dark path as Zella. Across eternity, in the depths of the earth, the past reflects the present. To what end shall Rehman discover? Reflections of Eternity is dark, exciting fantasy short story from the author of The Assassin’s Remorse. The skies above the Storm are a dangerous place. Agerzak pirates hunt for lone ships to plunder, the Empire of Vaarck is forever covetous of the rebellious skylands that have slipped out of its grasp, and the mysterious Stormriders summon massive Cyclones to rise out of the ever-churning Storm Below to attack the small, floating islands. For the Autonomy of Les-Vion, the Navy is their Stormwall, protecting its citizens from all threats above and below the Storm. On the summer solstice, every citizen of the Autonomy that had turned seventeen are given the Blessing of Riasruo, the Goddess Above, and are entered into the yearly naval draft. All Ary wants is to marry his sweetheart Chaylene and start a life with her in their small, farming village. But life never goes the way anyone plans and the Autonomy needs fresh men and women to defend their skies. Rushing into marriage to keep from being separated, Ary and Chaylene are taken from their homes to Camp Chubris where the Autonomy trains its new batch of Sailors, Marines, and Scouts. Dealing with the stress of training, their new marriage is strained by the guilt of Ary’s childhood and the temptations of their fellow recruits. But Ary has a dangerous secret. As a boy, he had witnessed a Cyclone attack on his home skyland and was touched by the Dark Goddess Theisseg’s lightning. This taint poses a threat to the Church of Riasruo and their assassin plot his death for the greater good of the skies above the Storm! When a Cyclone threatens Vesche, the Intrepid sallies forth to defend the skyland from the depredations of the Stormriders and Thojhen is going to find out what he truly is made of. After Agerzak pirates cripple Rhione’s ship, she has to work hard to keep the ship in the sky and protect her son.